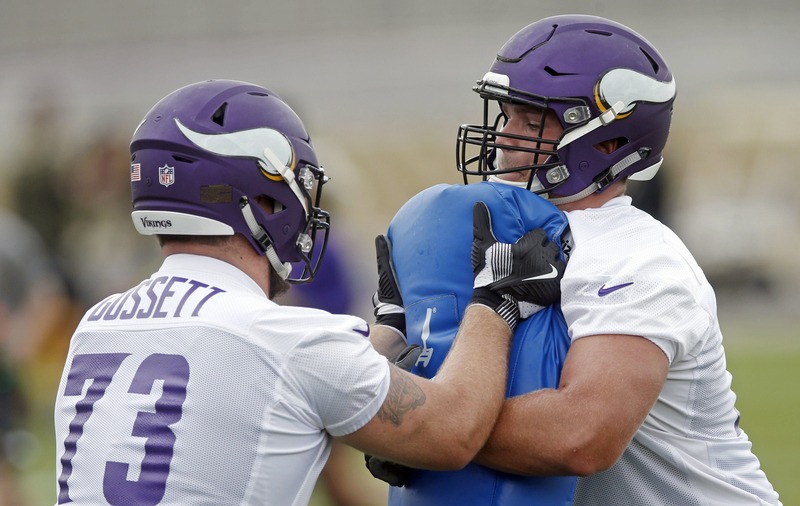 Mailbag: Is Vikings rookie Brian O'Neill ready to start at right tackle? Coach Mike Zimmer said he feels tackle Brian O’Neill has made his biggest strides as a pass protector. Does that mean he's ready to replace a veteran? Every Thursday morning we’ll answer your Vikings questions submitted via email and Twitter for our Access Vikings podcasts and Overtime post-game videos using the hashtag #AVOT. From @Skol1993: Is there a possibility O’Neill takes over the starting RT job even with Reiff healthy? Unless my eyes deceive me, O’Neill is our best pass blocker. AK: Mike Zimmer said Wednesday he feels tackle Brian O’Neill has made his biggest strides as a pass protector, where he allowed just two pressures (one hit) on quarterback Kirk Cousins in Sunday’s win against the Cardinals. The primary thing with O’Neill continues to be strength. The ex-University of Pittsburgh tight end is only in his fourth season of football playing offensive line. Typically, college tackles already need to make leaps with technique and strength, let alone a player like O’Neill who transitioned as a college sophomore from tight end. While it’s possible he could take over for Rashod Hill at right tackle, I still wouldn’t expect it at this point. Next offseason will be a critical time for O’Neill to add muscle as an already above-average athlete at the position. He’s not much of a mover in the run game without it. O’Neill, however, could start again Sunday in New York as left tackle Riley Reiff (foot) was again held out of practice Wednesday. From @Rohnjaymiller: What’s with all the blocks of Cousins’ passes? He’s 6’3”, does he throw sidearm or something? Can we expect to see opponents trying some pass swatting strategy vs. Cousins going forward? AK: Kirk Cousins has already had 11 passes batted away at the line of scrimmage in six games, tying his season-high total (11) during last season in Washington. Only Baltimore’s Joe Flacco has had as many passes batted away by defensive linemen this season. Some of the issues were unblocked defenders on play-action bootlegs, which head coach Mike Zimmer said he’d like to see get schematically corrected. But a lot of the problems, such as All-Pro defensive end Chandler Jones squeezing past Rashod Hill on Sunday, were offensive linemen getting beat. After the game, Cardinals defenders said they knew Cousins would try to get the ball out fast, so they made an emphasis on getting their hands up. You can expect the Jets to do the same thing. New York’s defense has 33 pass deflections this season, among the most in the NFL. Not many have come from defensive linemen, but that could change if Cousins isn’t wary. “We have to make sure that we open up some of the spaces in there, so it doesn’t get congested,” Zimmer said Wednesday. From @AndrewPaniccia: Think we’ll see a big increase in Holton Hill usage with [Mike] Hughes out? Or is that all Mac Alexander territory now? AK: Hill could contribute more as a kick returner and outside corner, but he doesn’t play in the slot. That’s where the Vikings will need more from Mackensie Alexander, Jayron Kearse and George Iloka. All three defensive backs have covered from the inside this season, and it’s expected all hands will be used to take up Hughes’ snaps in the slot. The intriguing question is which cornerback do the Vikings go to if/when either Trae Waynes or Xavier Rhodes goes down for a few snaps or longer? They were using Hughes over Alexander as a fill-in outside cornerback. Now, they’ll either have to turn to Alexander or Hill. AK: If Thielen were to continue at this rapid pace (~119 yards per game), he’d have the second-best single season of any receiver of all time at about 1,899 receiving yards, trailing Calvin Johnson’s 2012 season (1,964). While it’s possible, he’s still got the bulk of the schedule to go. Unfortunately, I’d still expect the percentage chance of him becoming the NFL’s first receiver to be named MVP relatively low, because that kind of production would mean quarterback Kirk Cousins is also putting up lofty numbers. And, as we all know, those awards have historically gone to the quarterbacks throwing those passes. Just ask Jerry Rice, who watched Joe Montana and Steve Young win two MVPs apiece while throwing to him.